is demonstrated regardless of the size of the lot. As for the stamping out machine with blanking device, a large lot products have been mainly used from the goodness of the efficiency for the improved productivity very much so far. When the performance of this stamping out machine can be demonstrated regardless of the size of the lot ... We want to expand the range of use of the Blanking System by the reduction in costs of the tool. 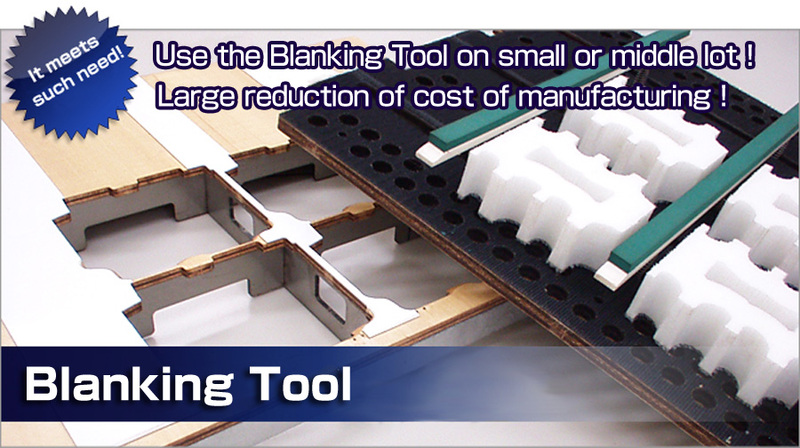 The Blanking Tool of Katayama is a product that appeared from such a conception. The performance of the stamping out machine is demonstrated regardless of the size of the lot.